Pick-Up and Delivery Available. Call Now! Best Care Medical Equipment is a full-service medical equipment provider serving Arroyo Grande since 1985. We provide a variety of medical equipment products for sales, rentals, and service. 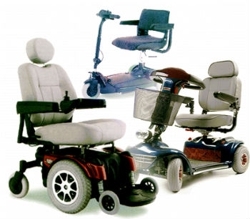 We specialize in mobility equipment, including, but not limited to, power wheelchairs, lift chairs, and scooters. Why Choose Best Care Medical Equipment? All of our products are available for pick-up or delivery. We carry all the top medical equipment brands and are an Authorized Dealer for Invacare® and Pride®. Flexible Payment Options. We bill Medicare, Medical, and 3rd Parties! Best Care Medical Equipment is the best choice for all your power wheelchair and CPAP needs. Call (805) 270-2558 today to speak with one of our medical equipment experts!